In this hectic world that is busy rushing to tomorrow, you will be brought back to the yesterday of fur-trading villages and military outposts and to a slower pace of horse drawn carriages. During your American Heritage tour you will experience some of the oldest history that America has to offer. Day 2: Enjoy a guided lighthouse adventure and tour the Icebreaker Mackinaw Maritime Museum. 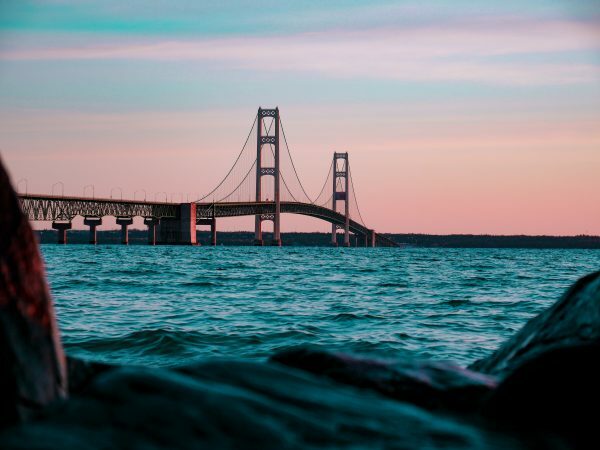 Day 3: Experience beautiful Mackinac Island with a guided carriage ride, visit historic Fort Mackinac, spend the remainder of the afternoon exploring on your own before enjoying a picnic hosted by Kewadin. Day 4: Choose to spend your departure day morning at the Colonial Michilimackinac or the Museum of Ojibwe Culture. Kewadin Country is where the Great Lakes, historic landmarks, national forests, national lake shores, and exciting gaming action converge to bring a unique and memorable experience for all your passengers. During you Kewadin Country Gaming Tour you will be able to see it all while gaming at all five Kewadin Casinos, near the shores of Lake Superior, Lake Huron, and Lake Michigan. Day 1: Visit Kewadin Casinos Manistique and Christmas before arriving at Kewadin Casinos Hotel in Sault Ste. Marie for your two night stay. Day 2: Relax with a leisurely breakfast before departing for Kewadin Casinos St. Ignace and Hessel. Day 3: Today you depart for home and on the way you’ll enjoy another stop at Kewadin Casinos St. Ignace and Manistique. Bringing your group from the South or North? Kewadin Country Gaming Tours can be adjusted to accommodate your needs. From great dining, gaming and nightlife to nature’s beauty and America’s proud heritage, we have it all at Kewadin Casinos. Please call Group Sales at 1.877.529.2346 for more details on these exciting itineraries or to customize an itinerary for your group.